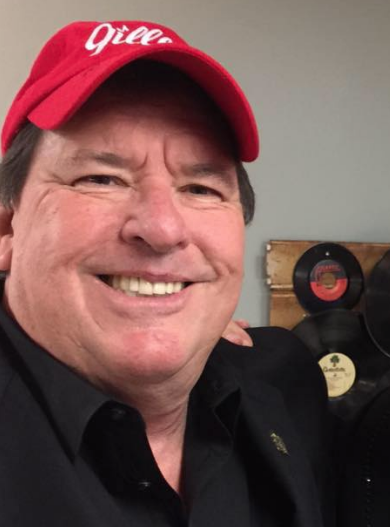 Country Disc Jockey Hall of Fame member Rhubarb Jones has died at age 65. Warren “Rhubarb” Jones was a legendary broadcasting figure in Georgia. He was the longest lasting morning radio host in the city’s history. In addition, he spearheaded a number of high-profile charity initiatives. He was well known to the Nashville music industry as a former board member of both the Country Music Association and the Academy of Country Music. Between 1993 and 2005, he was the host of the Georgia Music Awards gala. Jones was born in Miami, Florida, but grew up in Tallapoosa, Georgia. He was a graduate of the University of West Georgia and earned a masters degree at Shorter College. During his 36-year radio career, he had on-air stints at WLWI in Montgomery, Alabama; WSKY in Asheville, North Carolina; WWCC in Bremen, Georgia and WCLS in Columbus, Georgia. He is best known for his long tenure at Y107 and Eagle 106.7 in Atlanta. He was there from 1985 to 2008. For the past nine years, he has been on the communications faculty at Kennesaw State University. For more than two decades, he ran a celebrity golf tournament and an annual Rhubarb Jones March Across Georgia event. These raised more than $4 million for the Leukemia & Lymphoma Society. Along with Randy Owen of Alabama, Jones established the Country Cares for St. Jude’s Kids fundraiser. He was also a 20-year local host of the Jerry Lewis Labor Day Telethon for the Muscular Dystrophy Association. Rhubarb Jones died following a heart attack on Sunday, April. 2. He is survived by daughters Presley Frances Jones and Callie Reeves Jones, by sons David and McCole and by four grandchildren. Funeral arrangements are being handled by Miller Funeral Home in Tallapoosa, GA.